Workshops, seminars, tutoring, editing services, and support from Berlin's open international writing community. We founded the Berlin Writers' Workshop to help build an open international writing community in the cultural capital of Europe. We believe great writers come from everywhere, and that literature doesn't begin or end in the university or private school. The heart of our community is the writing workshop, where students read and critique one another's work under the guidance of a professional writer. We also offer seminars, readings, and one-on-one mentoring. Our instructors are working writers and translators. We've published books, taught in MFA programs and universities, reported news from around the globe, and written for the best magazines and literary journals in the English-speaking world. We decided to start our own workshop because we're zealous advocates for the workshop model and for creative writing as a way of life. Sign up to receive news about classes, readings, and events. We offer monthly courses and weekend workshops in fiction, nonfiction, publishing, and translation, for professionals and hobbyists alike. Our faculty includes award-winning novelists, journalists, and professors, all of whom have years of experience in university and adult education. We provide manuscript consultation, one-on-one mentoring, editing services for writing of all kinds, and creative workshops in the workplace. 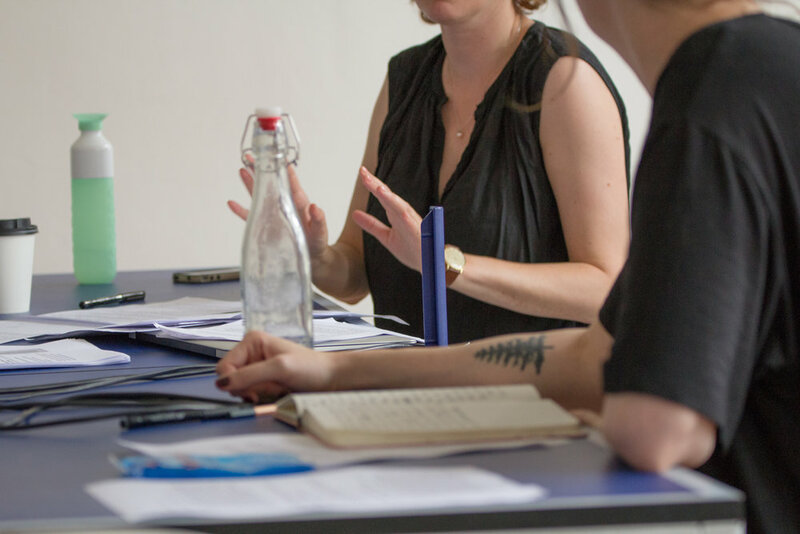 "The instructors at the Berlin Writers' Workshop are among the best in the business: brilliant writers, thorough editors, thoughtful teachers, and insightful critics. That all this literary talent has descended on Berlin is tremendously exciting." "I feel lucky to have gotten to know and work with the faculty of the Berlin Writers' Workshop in classroom settings and beyond. As instructors, they're welcoming and warm. As working writers, they have firsthand experience navigating the world of contemporary publishing. And they're thoughtful readers, generous with their attention and feedback. Their intelligence and mentorship have helped me and my writing enormously."